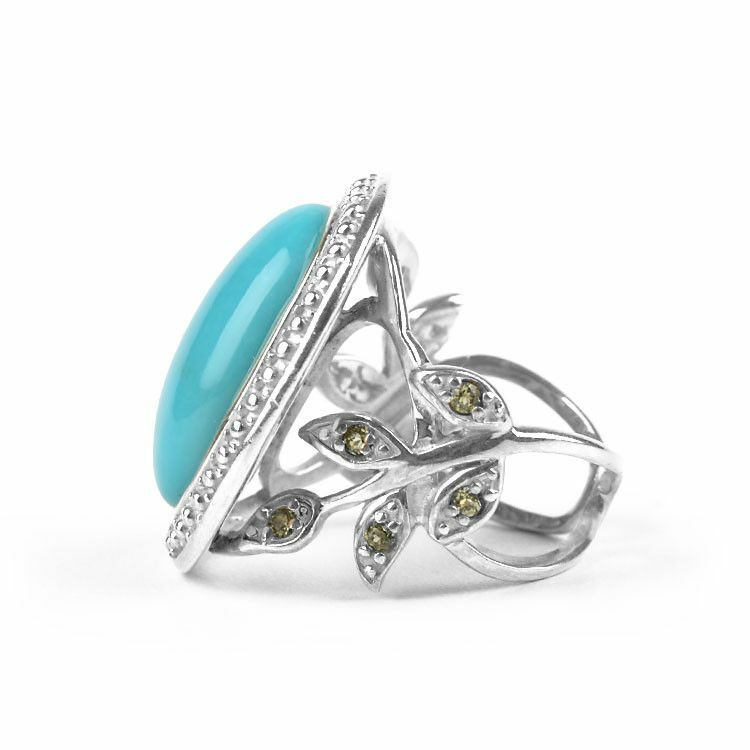 This unique cocktail ring was made with a natural, large Sleeping Beauty turquoise stone (about 13/16" x 5/8"), sterling .925 silver, and ten small Peridot crystal gemstones. 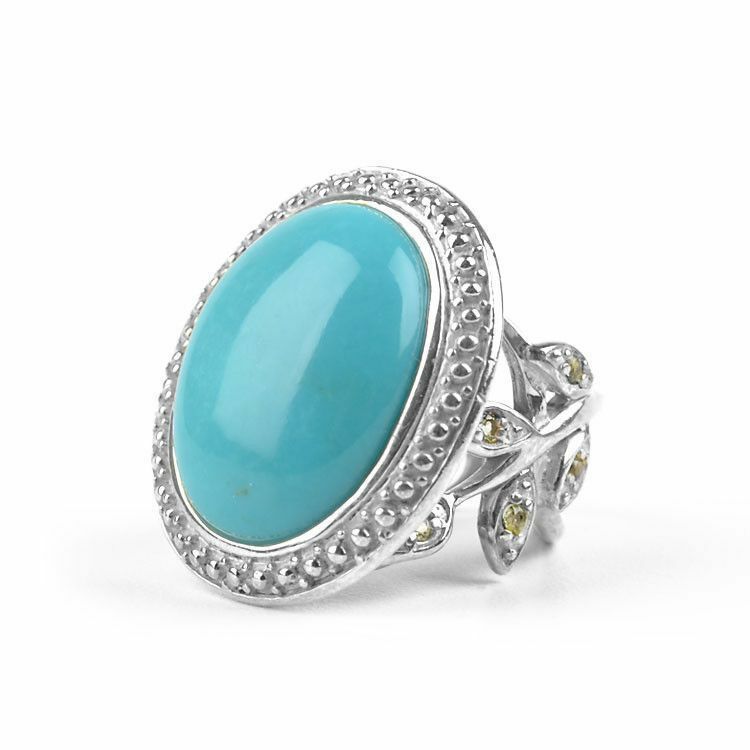 The beautiful blue opaque stone is surrounded by stylized and textured silver, making the face of the ring even larger, about 1 1/8" long, 15/16" wide. 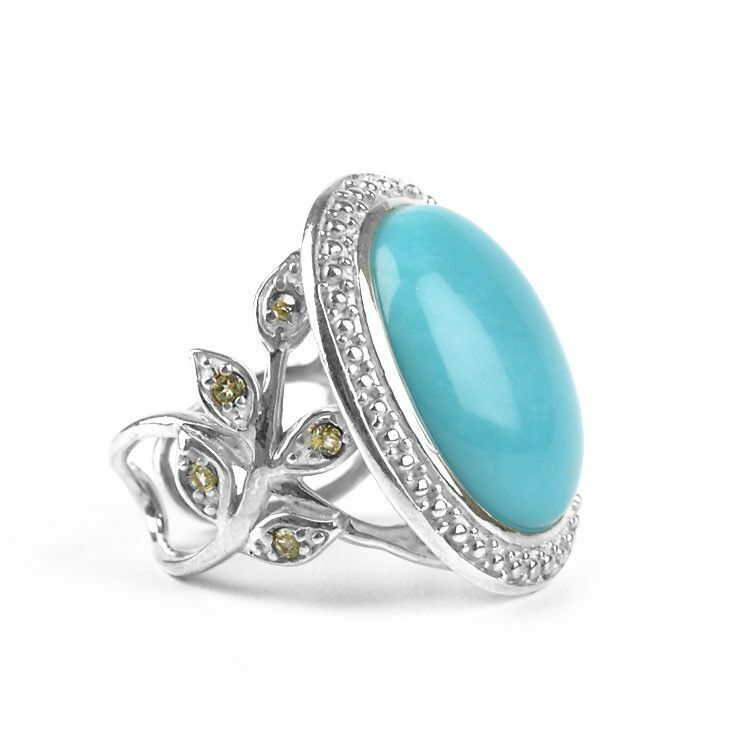 The band of the ring is where you'll find the green gemstones, situated in a lovely silver leaf design. 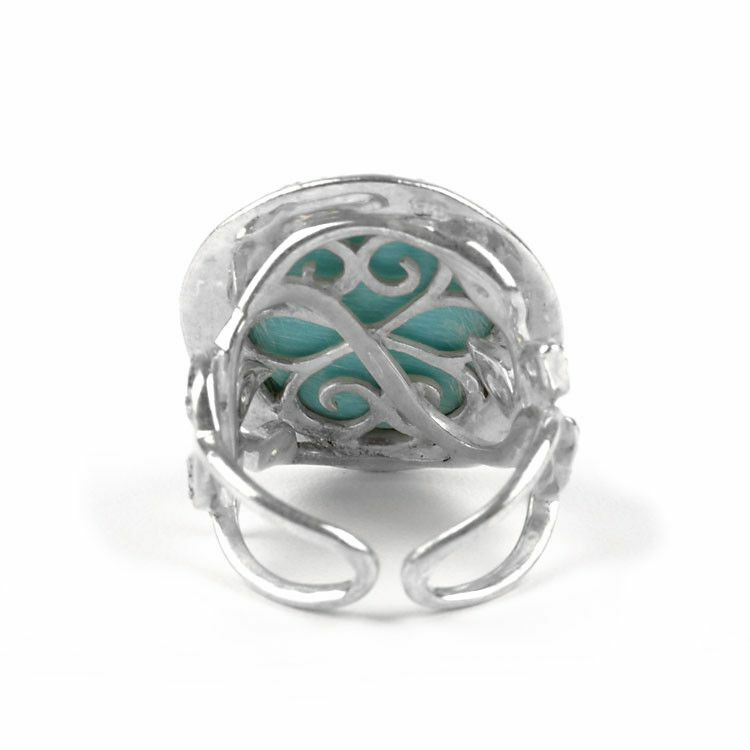 This comfortable ring is also adjustable. 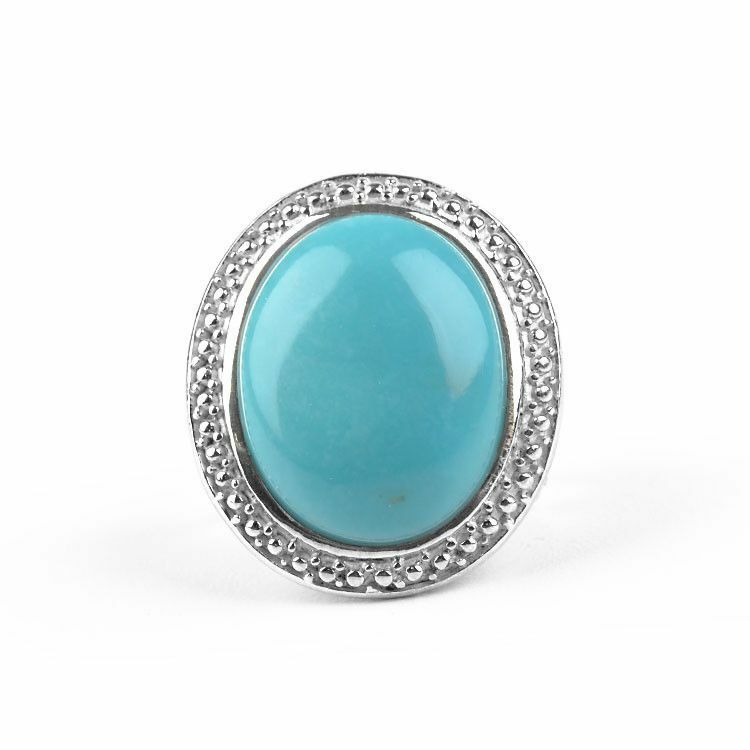 Perfect for ring size 8 or higher. Genuine stone measures 13/16" x 5/8"
Face measures 1 1/8" x 15/16"